**Ace collection of practically unknown Italian synth wave and post punk studded with some real gems. 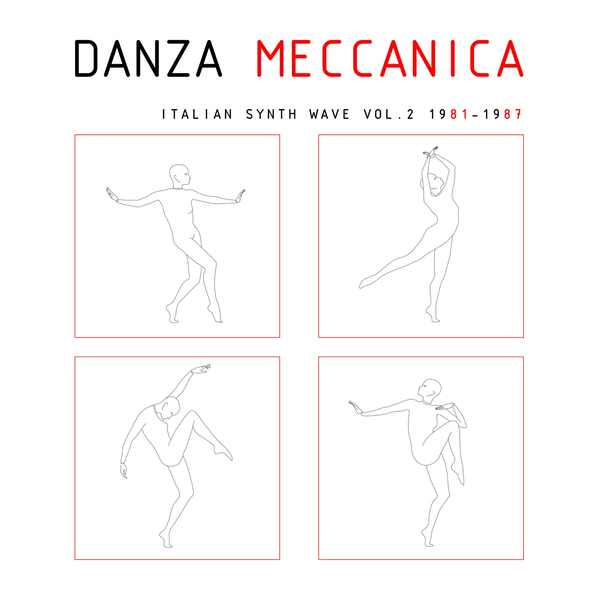 ** ""Danza Meccanica" is the latest, unmissable chapter in the story of Italian post punk - the less traditionally rock branch. It outlines the approach taken by ten more or less unknown groups who all deserve rediscovery and to be remembered alongside luckier outfits. Ten tracks that spell out the manifesto of a scene fascinated by electronic innovation, a scene that used the sounds coming out of English labels like Factory, 4AD and Mute as a reference point. The grey atmospheres and raincoats of a still-divided Berlin, and those of Manchester, which along with Sheffield produced sounds destined to inspire future generations of musicians and producers."